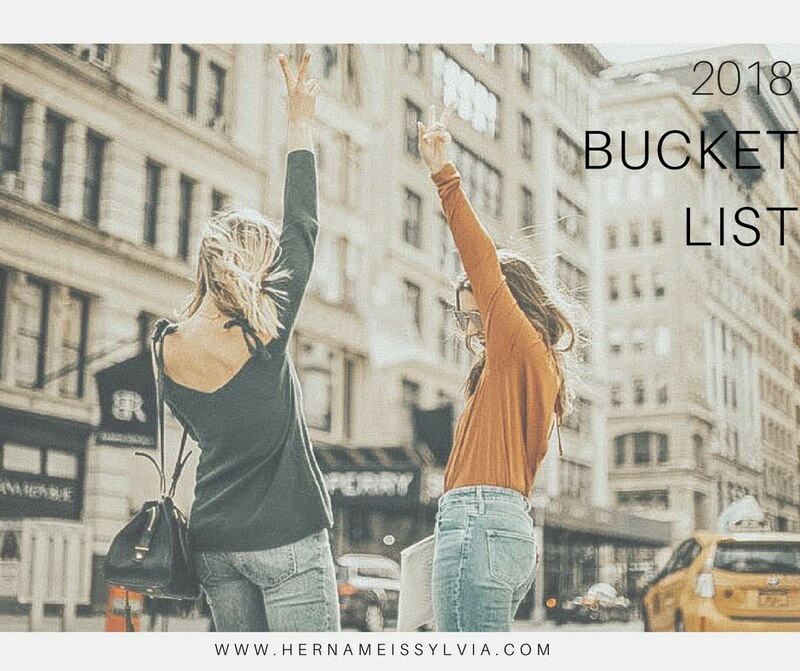 I thought it would be fun to start the year off with a bucket list! Every year I think of all the fun things I want to do in the coming year but never even come close to doing these things. 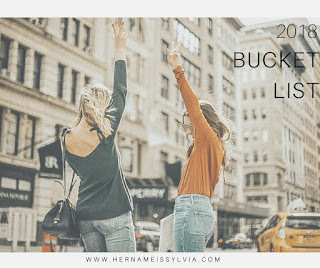 So this year I created my very own bucket list. I'm all about positivity for the coming year and living life to the fullest. 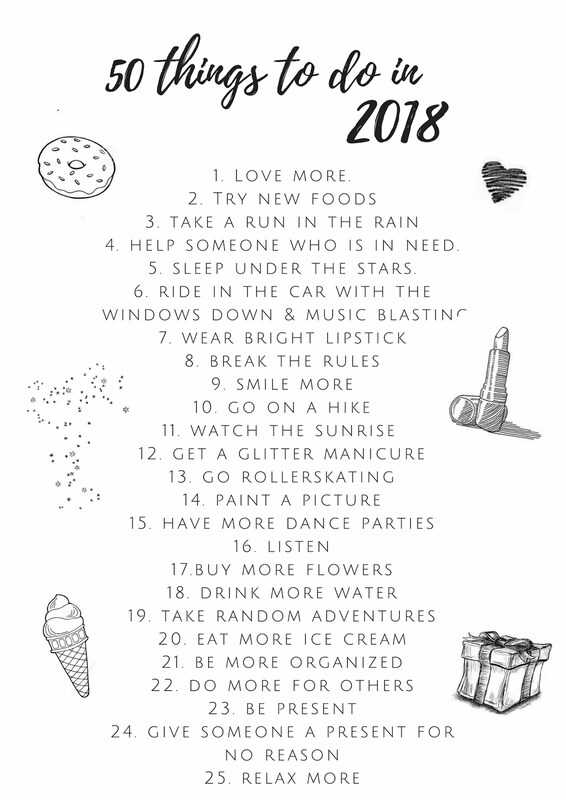 I wanted to make the most of every day - so I had fun with this list! 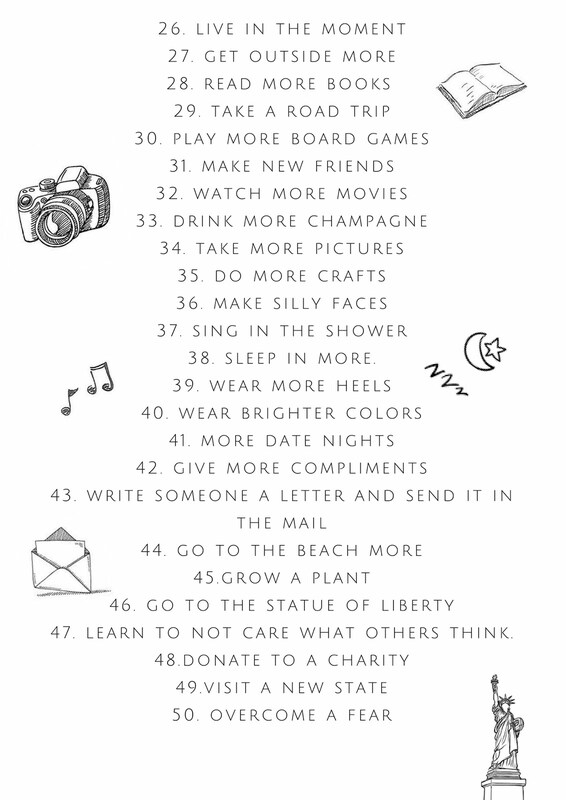 I wanted this list to be a reminder to have fun, live a little and not to take life too seriously (that is when you don't have to) . WANT TO COMPLETE THIS BUCKET THIS FOR YOURSELF? BE SURE TO PIN THE IMAGE BELOW ! Thanks for sharing such an informative post. Many people will say that beauty is in the eye of the beholder, however if you look back through history it is apparent that beauty is in the eye of society. Just like fashion, the image of a “beautiful woman” has varied with culture and time. Cosmetics such as lotions, skin creams and make-up products like lipstick, mascara, and blush are used excessively in hopes to attain a flawless complexion and perfect facial features. I would like to add up my favorite revitol skin care because I use it and it has great results. if you thinking to visit some historical monuments then i will suggest you Indian monuments, yo can visit many historical monuments in india those are very famous in the world. book now same day agra tour packages and enjoy this journey. The science of Anti aging diet is now nolonger a puzzle. The data is all available on the market. It's up to you touse it. A amazing spot to begin is by using your food plan regime. Whilst the expression goes"we are what we eat" therefore if you'd like to check and feel more youthful afterward you definitely have to incorporate those anti-aging meals. if you want to visit agra city historical monuments amd also want to explore some amazing things in agra city then Taj Mahal Tour Guide is best tour package for you.